Thinking of taking your dog to the office this Friday for National Take Your Dog to Work Day? Make sure you’re not biting off more than you can chew. Remote trainers make it easy to teach your dog commands, or for reducing unwanted behaviors. 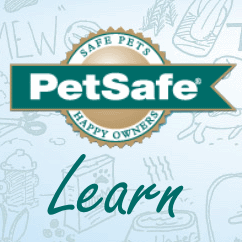 Now, we’re introducing our easiest to use PetSafe® Remote Trainers, ever!Learn More about how our new Remote Trainers can help you communicate with your dog like never before. Sometimes your pet dog needs a little help overcoming a behavior that can be dangerous, such as rushing out onto a busy street, or annoying, such as jumping up on visitors. Consistent training can help your dog stop bad habits and learn new behaviors, and this training can be enhanced by static correction.